“If you just work on stuff that you like and you’re passionate about, you don’t have to have a master plan with how things will play out." It’s a proud moment for all at XIME as we discover that XIME has achieved yet another milestone in the domain of entrepreneurship. In the recent issue (January 2016) of ‘Small Enterprise’ magazine XIME was awarded the 9th rank surpassing manycolleges whose flagship course is entrepreneurship. XIME has been a pioneer for the entrepreneurship development program since its inception. Over the years it has consistently raised its benchmark for the other colleges to follow. Apart from XIME’s famous Entrepreneurship Development Program (EDP) it has broadened its activities to other divisions through the Empresario club and the recently initiated Amplifi-XIME B2B SaaS Accelerator. Amplifi-XIME B2B SaaS Accelerator is an incubation centre formed with the intention to create a startup ecosystem for B2B SaaS (Business-to-Business Software-as-a-Service) ideas. The new entity will offer infrastructure, mentoring, shared resources, and access to corporates, angel investors and VCs plus credits from partners & service providers for the entrepreneurs selected through this program. The Empresario club is very proactive in bringing several successful entrepreneurs from different parts of the country for discussion with the students. 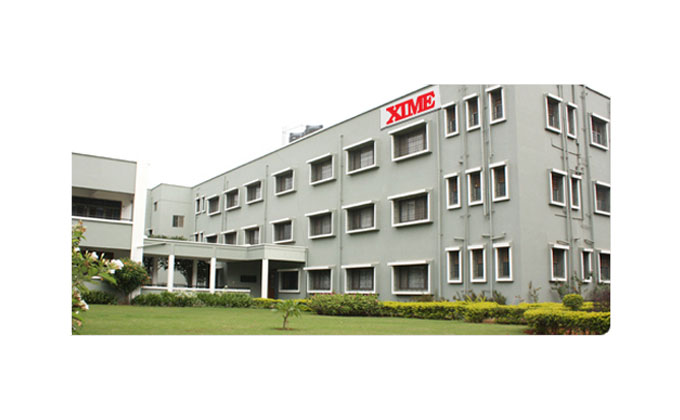 This makes XIME the ideal hub for networking purposes for the potential entrepreneurs. The culture of XIME promotes entrepreneurship to such an extent that students can showcase their entrepreneurial ideas well before they graduate. The best example for this is the E-Shop that was recently launched in the campus. Considering the hardwork and dedication XIME puts in creating budding entrepreneurs it is no surprise that XIME is awarded with a good ranking. Benjamin Franklin said “Without continual growth and progress, such words as improvement, achievement, and success have no meaning.” Now it is upto XIME to ensure that this continuous growth and success never comes to a halt and that one day XIME emerges at the top of the list.